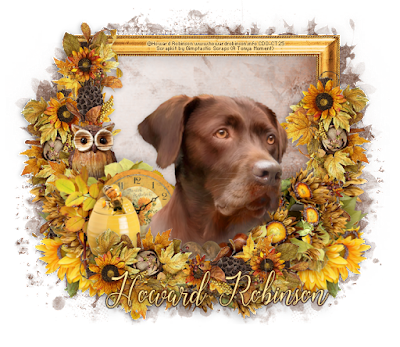 CT Tag featuring the adorable art of Howard Robinson and one of the new images just released today at CDO. This new package of puppies are just the cutest! 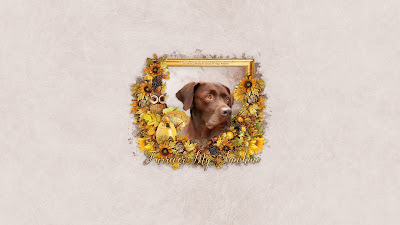 Animals have such a way of reaching in and grabbing hold of our hearts and not letting go, don't they? 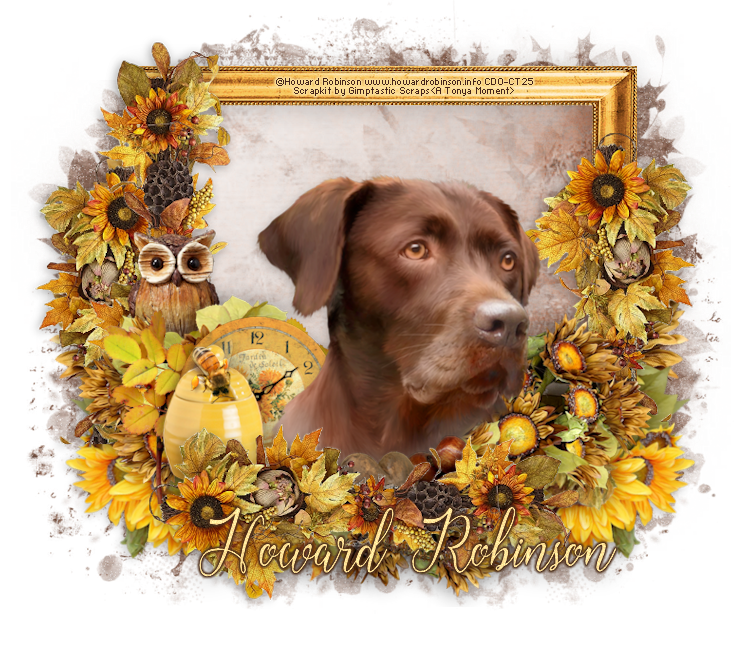 The soulful eyes of this chocolate lab tell so much and a lifelong adoration for giving him a home that is safe and happy and filled with all the things a puppy loves! 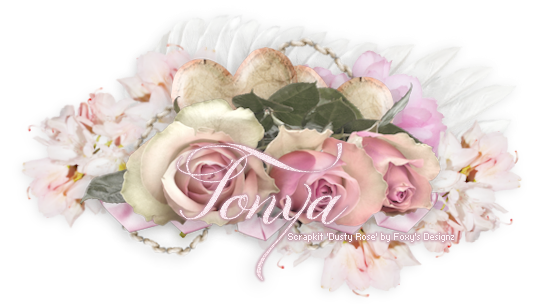 You can purchase this package here at CDO or tube individually here. 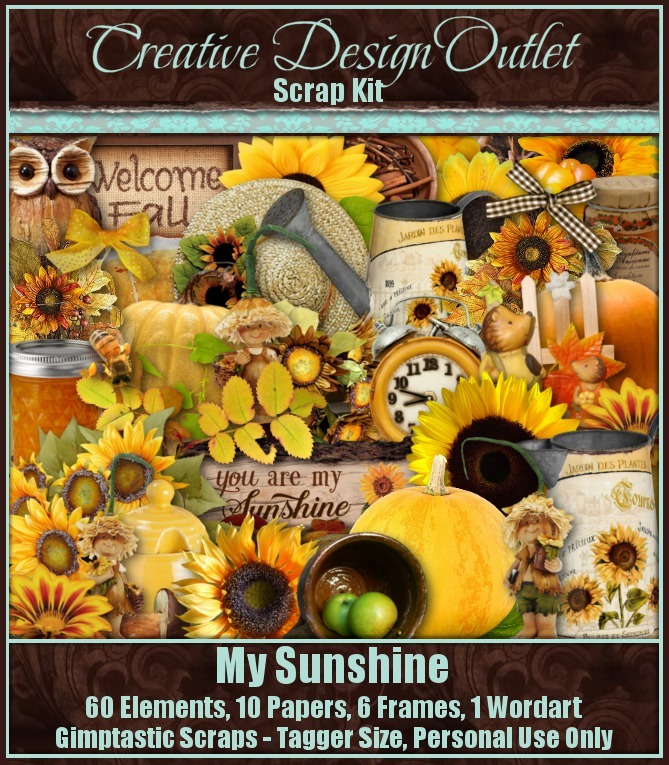 With this one I used a wonderful fall kit made by Amy of Gimptastic Scraps, a wonderfully themed kit called My Sunshine, as our pets can very often become a ray of sunshine into any happy home. 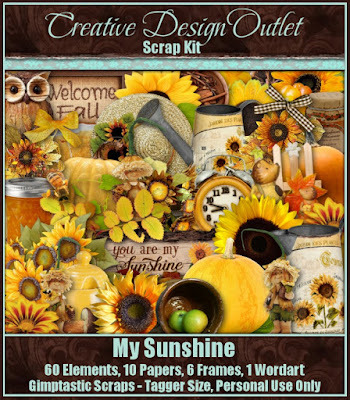 You can purchase this kit exclusively at CDO here.